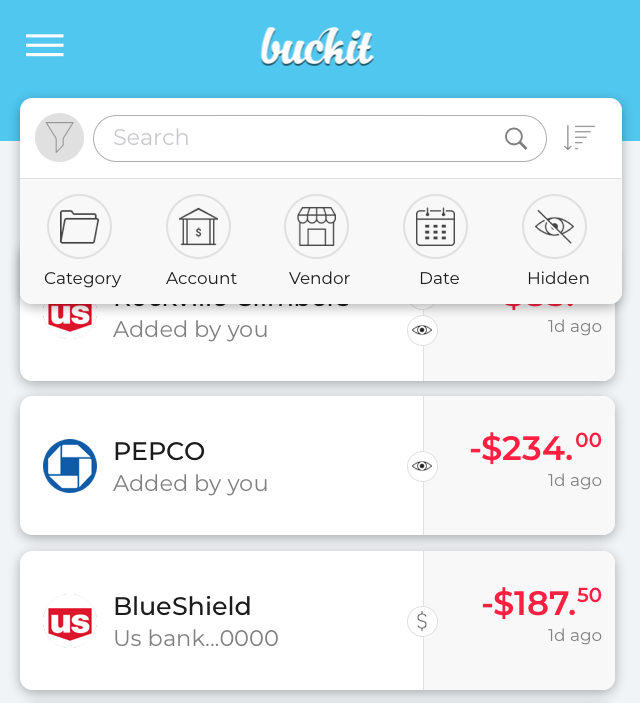 Buckit provides multiple options to filter through your spending. You can set a filter up by going to the transaction tab and selecting the filter option from top left. Selecting any filter option will pop up a dialog on the bottom from which you may set up custom filters.